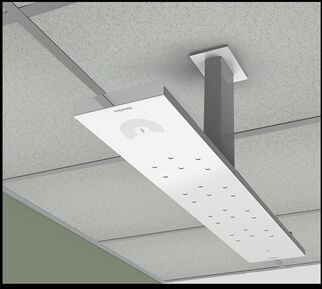 The Ceiling Mounting Kit with 24" spanner is available for Clear One's Beamforming Conference Room Microphone Array. The parts in the kit include parts for mounting in either a solid or drop-ceiling. Assemble your Beamforming Microphone Array ceiling-mounted for a clutter-free conference room table or area.